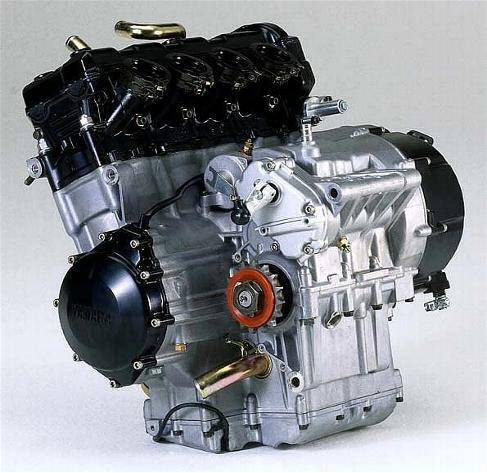 The first R1 appeared in 1998 (know as the 4XV) and had 150 bhp, it was fitted with 4 40mm Mikuni BDSR 40 carbs. The second generation arrived in 2000 (5JJ) and had 160bhp. It had many improvements over the earlier engine these included, modified carbs, revised camshaft lubrication, lighter gearbox internals, and altered ratios including a taller 1st gear. The forth generation was launched in 2004 (5VY) this is a totally new engine that is larger than the previous models, so unfortunately will not fit in our kits. This isn't a problem though as there are hundreds of low mileage 5PW, 5JJ and 4XV engines around. Power is now up to 172bhp. If you're on a budget then we recommend a late 5JJ carb engine as they are easy to alter the fueling, and the electrical wiring is very simple. If you want maximum performance then go for the 5PW, you will need to fit a power commander to allow you to richen the fueling. This is due to the new air filter flowing much more air than the original air box. Because its injection the wiring is a lot more complex but we can supply a modified harness.